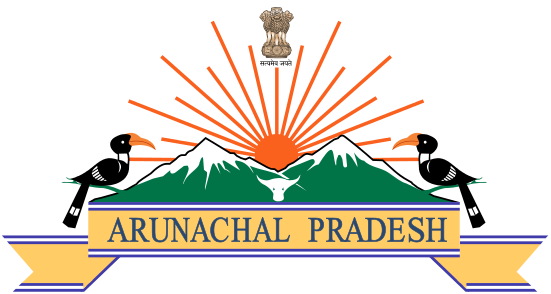 Minister for Sports and Youth Affairs Dr Mohesh Chai, who attended the programme, advised all to get enrolled for the Chief Minister Arogya Arunachal Yojana for maximum medical insurance coverage. He said this during the fifth ‘Sarkar Aapke Dwar’ (Government at your doorstep) in Lohit district was held at Khoroliang village on 12 October. Stating that the Sarkar Aapke Dwar’ is greatly helping the people in delivering public services at their doorsteps, Dr Chai suggested the district administration to conduct the next programme at Bhekuliang village, one of the most remote villages in the district. Regular activities like, issue of various certificates, new LPG connections and Aadhar enrollment etc. were done during the day-long programme. 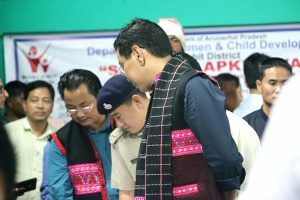 Lohit Deputy Commissioner Karma Leki, the Superintendent of Police, all the administrative officers and departmental heads of the district, PRI members, GBs and the public of Khoroliang village attended the programme. (DIPRO).